Since 1946 Nordic Ware continues to make high quality cake pans. Baked goods rise and bake evenly due to their aluminum’s superior heat conductivity. The reinforced encapsulated steel rim prevents warping. 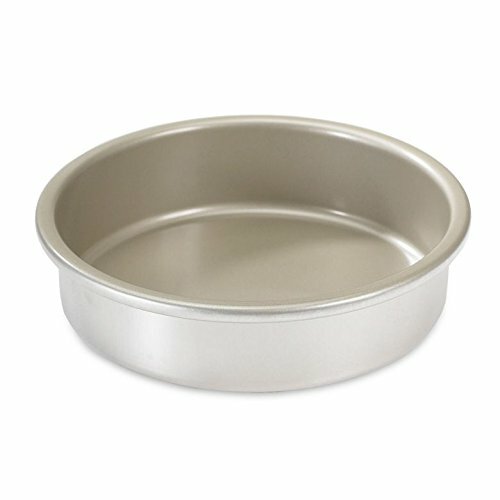 Remember natural aluminum pans work well with parchment paper, silicone baking mats, and also traditional butter or shortening and flour methods. When roasting savory foods such as vegetables, butter or cooking oil works well. Dishwasher use is not advised, as discoloration will occur due to the cleaning agents used in automatic dishwasher detergent.